In May this year, SES Deputy Commissioner, Tara McCarthy, was given an hour to get her things into boxes and get out of the office. She had been sacked. Why the Deputy Commissioner was removed from her job in the State Emergency Service is now the subject of an investigation by the Independent Commission Against Corruption (ICAC). That’s because she is a whistleblower. 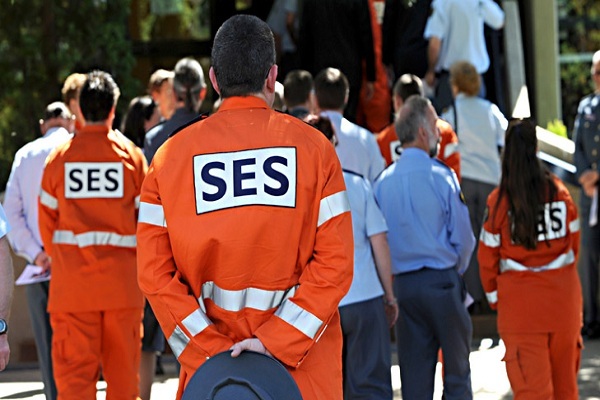 The Deputy Commissioner had made a series of corruption allegations whilst employed by the SES. Whether McCarthy was sacked as a result of her attempts to shine a light on alleged corruption within the organisation that appointed her as the first female deputy commissioner in its 60-year history will now be independently investigated. The Police Minister, Mike Gallacher, has been asked repeatedly by journalists about whether he or members of his staff have been called to give evidence by ICAC. The Minister has dodged the questions every time, refusing to confirm or deny that he or any of his staff have been asked to appear. Whistleblowers have only limited protections under the law in NSW. This stands in contrast with Victoria, which has stronger laws and policies to protect whistleblowers. If the Deputy Commissioner was sacked as a direct result of speaking out about possible corruption within one of the state’s biggest volunteer organisation, then ICAC has the capacity to recommend prosecution. That is all well and good, but the case raises questions about the need for tougher laws that specifically protect employees who speak out about abuses or corruption within the organisation that employs them.